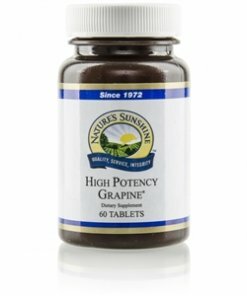 Nature’s Sunshine High-Potency Grapine® provides the antioxidant properties of grape seeds and maritime pine bark. Proanthocyanidins, an antioxidant derived from grape seeds and maritime pine bark, fights oxidative damage in brain and nerve tissue. It also works to protect the body from free radical damage. 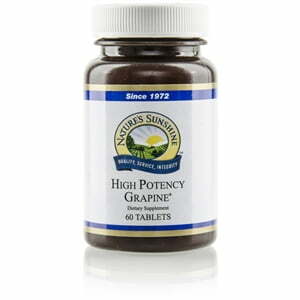 Grapine® contains 60 mg of proanthocyanidins.